Explore human creativity, imagination and beauty through the arts and visual cultures of the world, past and present. 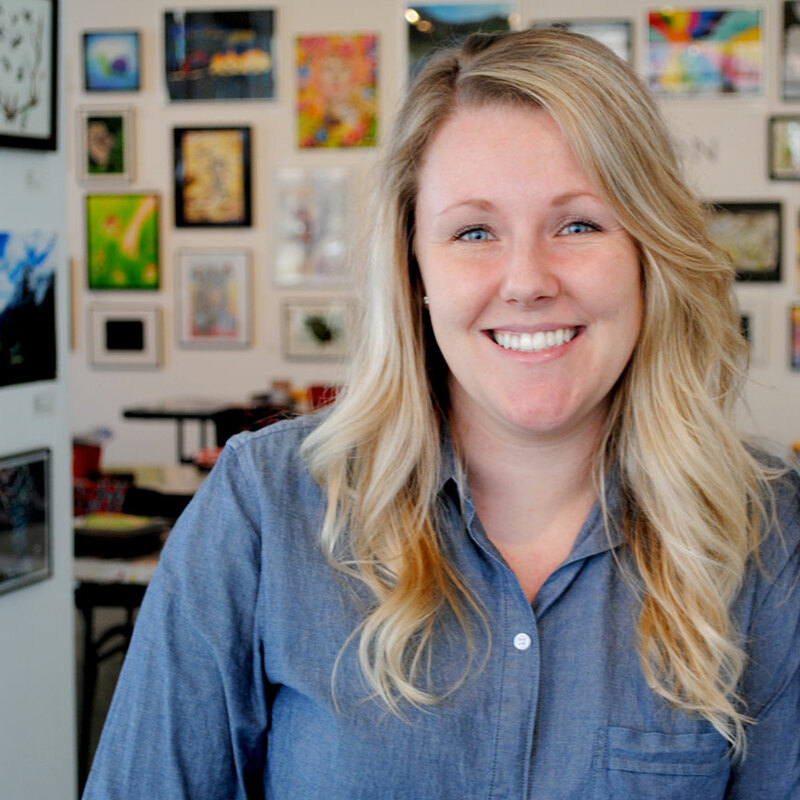 Why study Art History and Visual Culture at UBC’s Okanagan campus? Study with world-class researchers who love teaching and sharing their knowledge. Take advantage of opportunities to work with them on innovative research projects, including 3-D modelling, app design, and local heritage institutions. Combined with the appropriate blend of electives, the major can be used to pursue a variety of graduate and professional programs in areas such as art history, museum studies, education, library sciences, law, urban planning, architecture, public administration and management. 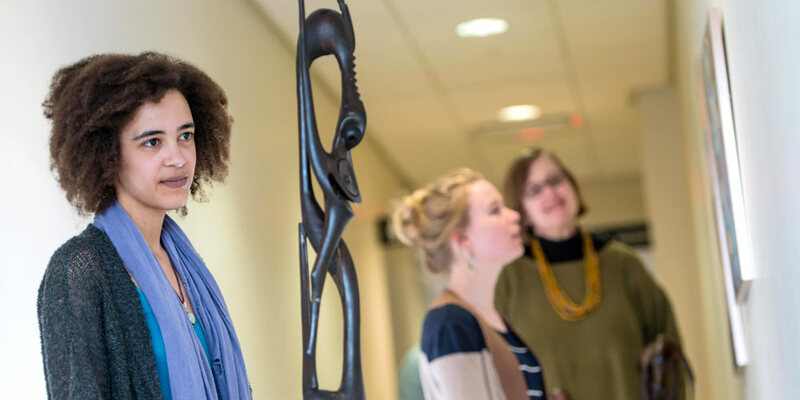 Art History and Visual Culture offers students a dynamic opportunity to learn about the world’s diverse traditions alongside world-class researchers who conduct research in Africa, South Asia, the Middle East, Europe, Indigenous America, Canada and the contemporary global art scene. UBC Okanagan’s Art History and Visual Culture program delves into the heart of human experience and identity, and its tangible expressions of cultural values, religious beliefs, and political agendas. The program offers a variety of global perspectives for exploring art and visual culture with course offerings on the arts of South Asia, the Middle East, Africa, Europe, and the Americas. Students in the program explore and analyse diverse forms of art and visual culture, while focusing on developing critical thinking and writing abilities. They examine “high” art, pop culture, architecture, everyday objects, performance and aesthetics in their cultural and historical contexts. Cross-disciplinary approaches that draw from literary and cultural studies, gender and women’s studies, history, the digital humanities and anthropology are employed as well. Pursue a Bachelor of Arts (BA) degree with either a Major or a Minor in Art History and Visual Culture. Another interesting option is the Combined Major, which can currently be taken with Creative Writing, Cultural Studies, or English. BFA students can easily complete a minor as well. The program is a practical option for students who are continuing on to professional programs or graduate studies. You will have the opportunity to immerse yourself in the world’s artistic heritage and contemporary art scenes. UBC Okanagan’s Art History and Visual Culture courses address topics such as digital art history, historical and contemporary global art and architecture; art in Canada; art and popular music; global Surrealism; Latin American art; art, literature, and gender in the Islamic World; and art, fashion, and performance in Africa. Browse all Art History and Visual Culture courses and descriptions. Find out more about how to declare your major. Prospective master’s and PhD students interested in working with faculty in the area of Art History and Visual Culture can do so through Interdisciplinary Graduate Studies (IGS) in the Digital Arts & Humanities theme. Students are encouraged to declare their major in Art History and Visual Culture at the end of their first year in order to take the prerequisite second-year courses. Refer to the Academic Calendar for required courses. Earn a UBC degree respected by employers around the globe, and secure a career in a museum or gallery, or as an art critic or buyer. Or continue your education to work in professions such as teaching, curating, law, or architecture. UBC graduates from the Art History and Visual Culture program have abilities to analyse and interpret form, technique, iconography and the historical function of art. Co-operative work-placement opportunities exist for all students completing a Bachelor of Arts degree. Earn a degree and relevant, paid work experience at the same time. Apply through the Co-operative Education Office in September of Year 2 or Year 3 of your BA degree program. Co-supervisory arrangements with other program areas are also possible. Please contact individual faculty members for further information. Follow your ideas and get a head start on your career. English professors engage students in research projects, labs and centres that range from Indigenous studies and the study of animal ethics to digitized cultural history.